Interestingly, the examiner initially considered original claims 31, 34, and 37-44 to be allowable,  but these claims were rejected by the PAB upon review. Following the principles of purposive construction, the PAB determined that the subject matter of all of the claims is directed to a mental exercise not requiring a computer as an essential element. Therefore, each of the claims was rejected for lack of statutory subject matter. Furthermore, the purported inventive concept of each of the claims lacked ingenuity, in that it was an obvious extension of United States Patent No. 6,453,038 (“D1”). In addition, new subject matter, lack of utility, and indefiniteness were also reasons for rejecting the ‘210 Application. 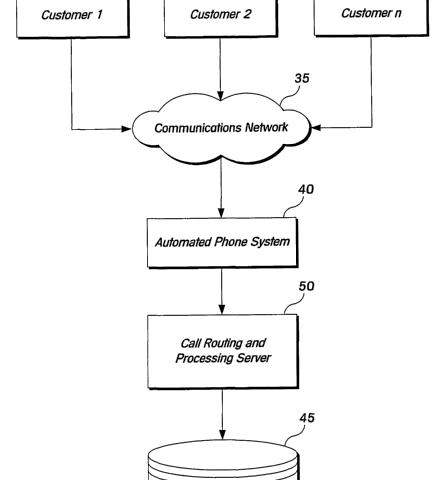 in response to determining to route said incoming call to an automated call processing system, routing said call to said automated processing system. The inventive concept was considered to be the essential elements of the claims, which are determined by applying the Manual of Patent Office Practice (“MOPOP”) Guidelines as outlined in PN2013-03 for claim construction regarding computer-implemented inventions. This guidance involves identifying the problem to be solved, the solution to the problem, and the claim elements that are essential to providing the solution. The PAB considered the difference between the inventive concept and state of the art to be “assigning the call to an agent based on the particular agent’s past performance in persuading a customer to change his/her mind,” but not one that involves the customer “to choose a course of action instead that is favourable to the sponsor organization.” The PAB explained that the D1 patent discloses that an agent’s skill or ability is measured in part on past “sales made.” It is inherent in any business that “sales made” is an outcome that is favourable to a company or organization, and as such, “to choose a course of action instead that is favourable to the sponsor organization” does not constitute a difference from D1. 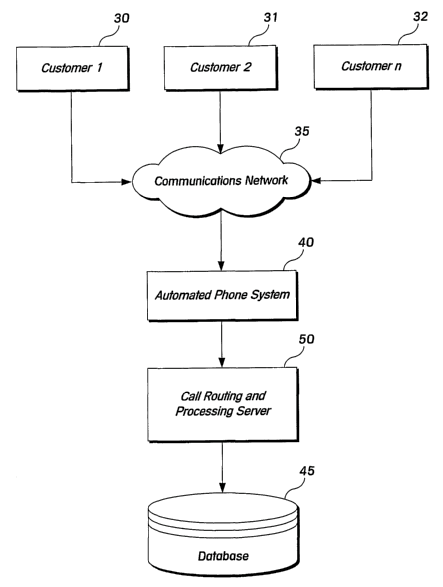 In this decision, the PAB provides an example of how an invention which seems to straddle the line between software and business method, here a call processing system, can fall victim to unpatentable subject matter and obviousness rejections where the invention does not clearly manifest a discernable effect or change. Interestingly, the Applicant’s strategy to rely solely on its procedural argument that deference should be given to the Examiner backfired, resulting in all of the claims of the ‘210 Application to be rejected.